“Periodontology”, that’s a word you don’t usually hear in everyday life! If you’ve never heard this word before, this can be quite intimidating. Let us share some quick facts about periodontology and how relevant it is to all of us. Periodontology, also known as periodontics, is a specialized branch of dentistry that focuses on the structures around your teeth. A periodontist has extensive training in periodontics and can properly diagnose and treat periodontal disease. The incidence of periodontal disease is incredibly prevalent among Canadians. In fact, it can be seen in all types of individuals regardless of gender, race, and lifestyle. 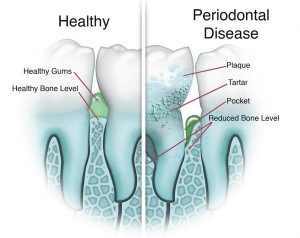 Periodontal disease can have detrimental effects on your gums, dental bones, and overall health. An estimated 40% of Canadians currently have active periodontal disease and are not aware of it. A periodontist is a certified dentist (DMD or DDS), plus at least three additional years of education. Periodontists specialize in gum diseases, dental implants, oral inflammation, and cosmetic periodontal procedures. Our clinic’s in-house periodontists, Dr. Brar and Dr. Manhas, have extensive experience in periodontology. Over the past two decades, they have invested much of their career in periodontal research and academic instruction. In fact, Dr. Brar is a former Assistant Professor in Periodontics at the University of Manitoba, and Dr. Manhas has worked as a periodontal clinical instructor for 12 years. They are leading forces in the Canadian periodontal industry, and have been bestowed with high commendation from peers and patients. Some of your basic dental needs can effectively be managed by your general dentist. However, symptoms of periodontal disease often necessitate the intervention of a trained specialist. A periodontist has a deeper understanding of periodontal disease, and is licensed to practice complex procedures, including oral surgery. In many cases, your periodontist and dentist will work together to tailor the best treatment plan for your individualized needs. How can I recognize the signs of periodontal disease? Gums that are receding from the teeth. This may cause the teeth to look longer than they did before. During your first visit at our clinic, Dr. Brar or Dr. Manhas will assess the severity of your condition. They are trained to recognize the early symptoms of periodontal disease, and have experience identifying trouble areas that are not easily visible to us. Quick tip from Dr. Manhas: To find out if you are susceptible or suffer from gum recession, try this at-home gum recession analyzer. Who is at risk of developing periodontal disease? Periodontal disease does not discriminate and can affect anyone. However, there are some factors that can play a bigger role in periodontal disease, including genetics. In addition, many illnesses including diabetes, have been linked to periodontal disease. Smoking, dry mouth, decreased saliva production, and poor dental hygiene are also contributing factors to periodontal disease. Are there any risks between periodontal disease and other illnesses affecting other parts of our body? Your periodontist should be able to offer additional information regarding periodontal disease and systemic health. Studies suggest that conditions such as cardiovascular disease, osteoporosis, and respiratory illnesses, are linked to periodontal disease. I have been referred to a periodontist. Does this automatically mean that I have to undergo surgery? Periodontists are highly trained in surgical dental procedures, but seeing a periodontist does not necessarily require surgery. Every patient comes in with a unique set of challenges, and periodontal treatment does not always resort to periodontal surgery. It is essential not to jump to conclusions, especially when it comes to periodontal care. Patients can sometimes experience anxiety prior to their initial consultation with a periodontist. Our staff’s best advice is not to overthink it. Your emotional health is important, and contemplation of the unknown is not worth the stress. 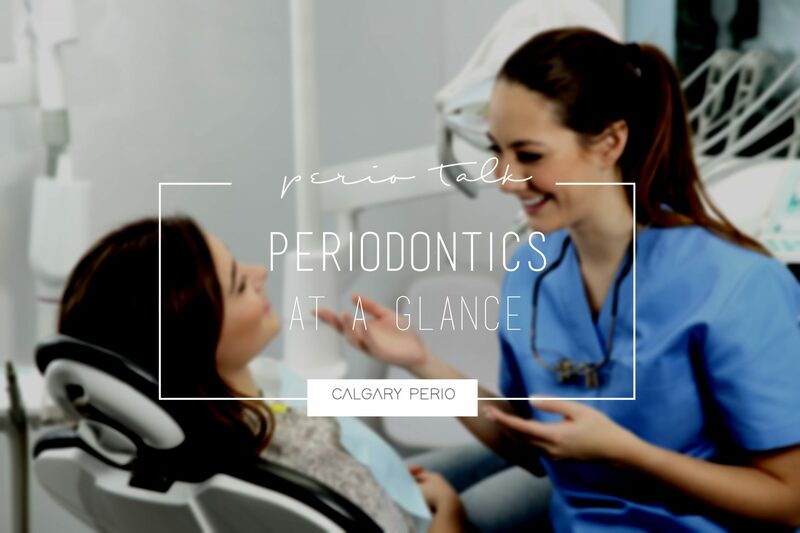 Until you meet with one of our Calgary Perio specialists, you should not speculate about your diagnosis and the course of treatment. Are you looking for outstanding periodontal care in Calgary? We’re here to help!